Most of my autistic daughter’s speech is something called ‘complex echolalia’. She remembers sentences and phrases from things she has read or heard and uses them to allude people into thinking she is coping socially. This is a common coping mechanism in girls with autism. They become adept at hiding their difficulties by quoting from others be it from movies, books or friends. It took a highly skilled speech therapist to diagnose this in my child but once pointed out it was so obvious. When she was younger we could pick out phrases from Thomas Tank engine, or Peppa Pig or sentences from well read children’s books I would read to her at bedtime. Her vocabulary was not being used independently but more ‘cut and pasted’ from one situation to another. This is much more common with autism than people realise. Your child may appear to be talking but is it spontaneous language or an echo of something they have heard many times before but do not actually understand? People assume because my daughter can talk that she is socialising. ‘She chats to friends in the playground’ is a common phrase used by schools to assume a child with autism is socialising well. What in fact she is doing is listing every ‘shopkin‘ she owns in alphabetic order or inappropriately telling another child they smell awful today! It is talking and it is to another child but it is not social reciprocal play and she is not making friends! Many also assume because my child can speak that she can not possibly be anxious! That is a myth. 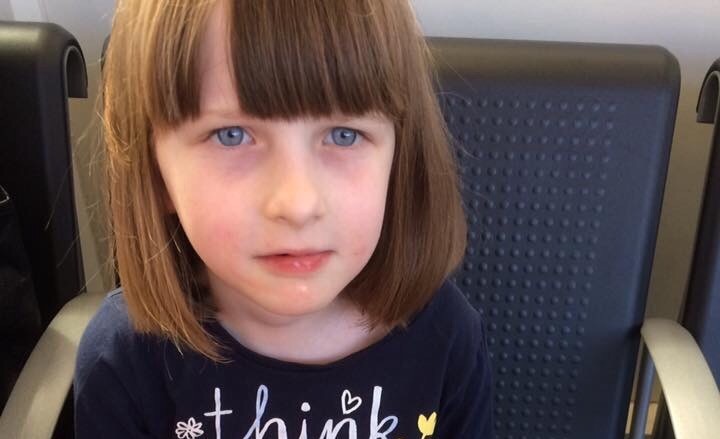 Anxiety can manifest in so many ways and if asked a direct question my daughter will attempt to answer even if her anxiety is making her feel physically sick. Anxiety in verbal people with autism can actually make them say things that are considered rude or hurtful or even cause them to repeat the same phrase or question over and over. These are ‘coping mechanisms’ to help them cope with the extra stress of certain situations. It is assumed because she is verbal that she understands emotional and intention. That is like saying because a baby can walk they can do ballet or play football! It is dangerous and worrying that even teachers assume because a child has the physical ability to speak that they are able to cognitively answer complex emotional questions like ‘why did Billy hit you? 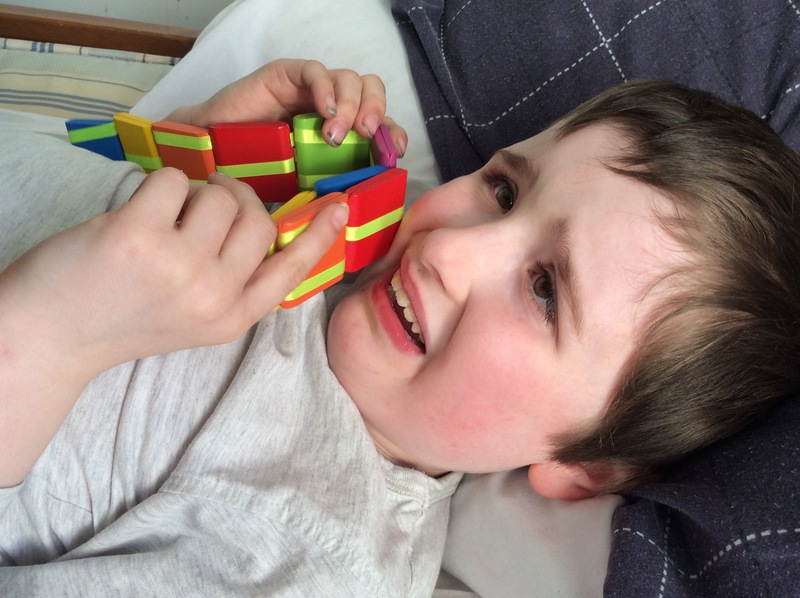 Or ‘how do you think I feel about you saying that?’ A verbal child with autism may still struggle with emotions and verbalising events that have happened. They still struggle with seeing things from other’s perspectives or being able to break down facial expressions. We need to remember they still have autism even if they can speak and not make assumptions based solely on the fact we appear to understand what they tell us. 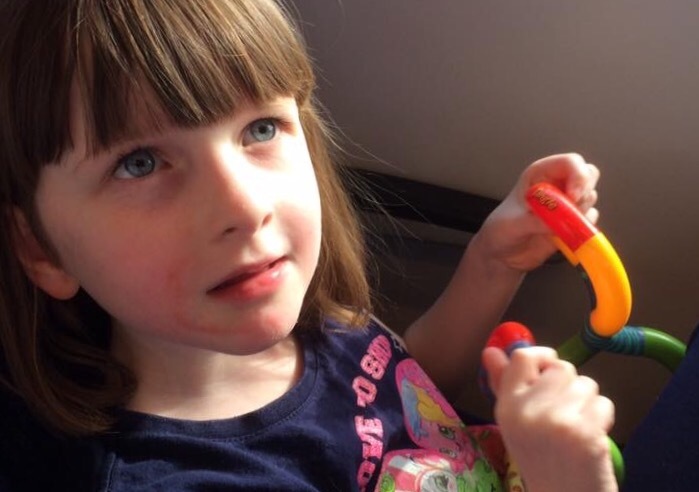 My daughter can speak but don’t expect her to tell you if she is in pain or where. Don’t expect her to understand metaphors or euphemisms or jokes. She can not grasp double meanings and understands language completely literally. ‘The sky looks heavy today’ to her means it is about to fall down! Don’t stop her half way through her lists or even her sentence as you interrupt her echolalia and therefore her brain’s ability to decipher the world around her. I am eternally grateful she can speak. I have a son who is entirely non verbal at 8 and I know the pain of never hearing your child talk. However, I also know the pain of seeing my child’s difficulties ignored just because she is verbal. We must look at autistic children individually. We need to look past the words they speak and see beyond the sounds we are able to understand. Under the surface of speech lies so many other difficulties that require ongoing support. If you know someone with autism who can speak never make the assumption their autism must be mild. There is so much more to autism than just being able to talk. Words hide much more than we ever think. Having a baby is the most wonderful, humbling, exhausting experience I have ever known. I thought it would be a challenge but I would learn and gain so much. Then one day my baby was diagnosed with severe autism. Everything I had ever known about parenting suddenly changed. I went from being the teacher to becoming the student and despite my son having no ability to speak he has taught me more than any speaker, any book or any course every could. 1. If you enjoy something, repeat it! All too often in life we are told to ‘move on’ or ‘grow up’ or ‘you are too young for that!’ My son has no concept of age appropriateness nor is he affected in any way by peer pressure. He enjoys a ride on a train to the same station to see the same elevators over and over again. He watches the same videos on you tube over and over. He presses the same button of the same toy repeatedly and still laughs. Isaac has taught me that if something fills your heart with joy never be ashamed to relive that. Life is to be enjoyed over and over and over again. I need to go back to finding joy, just like him, in the simplicity of life over and over again. 2. Stop worrying about other people! Isaac has no awareness of others. He is not afraid to get on a roundabout even if a group of older children are in his way. He is not afraid to flap, spin, laugh and clap even if others don’t join him. Bullying goes right over his head. Comments from others don’t affect him. He could not care what he is wearing, where others are going or wether he is included or not. He does not aspire to be politically correct nor does he want to lead the crowd. Instead he is blissfully content being who he is, exactly how he wants to be. Life is not about doing what everyone else is or pleasing others. He is different, and happy to be so, and there is a lesson there for all of us. 3. There is other ways to communicate without using words. I talk far too much. Most of us do. Isaac can not talk at all so he relies on other, much more basic ways to communicate. He sits beside me if he wants a hug, he screams if he is unhappy or scared, he takes my hand to lead me, he finds photographs of things he wants. To most his communication is too basic, too rudimentary, to learn anything from. They are wrong. Speech is not a ‘higher’ level of communication but rather a way to communicate that is actually too easily misunderstood. We can say we are happy yet our body language says otherwise. We can say we love when we actually don’t. My son simply shows me in beautiful and simple ways. They say actions speak louder than words and perhaps we all rely way too much on spoken and written language when a simple hug or smile would convey much more? 4. Don’t worry about the future, just enjoy today! Isaac has no concept of ‘future’. He lives in the here and now and at 8 is just about coping with the basic idea of ‘first and then’. He has no worry about politics, or religion or current affairs. He has no concerto of wars, shootings or terrorism. He lives in the moment. He eats food and enjoys every item with no consideration for cost or sell by dates. He is as content to eat an out of shape vegetable from a low cost supermarket as he is eating out in an expensive restaurant. As long as he gets to eat he does not care! He never stresses about money or where it will come from neither does he desire anything of any real value. He will play with a coat hanger flapping it for hours without any idea that most would view it as trash. While we may not be quite as able to ‘live for the moment’ as he is we certainly could learn from his care free lifestyle and worry much more about today than the future. First today, then tomorrow could be a motto for us all. Isaac will most likely never read, or write or live on his own. Does he care? Not an ounce. He has zero idea about toilet training and he is not in any way worried what anyone thinks about that. He wakes up every morning happy. He laughs at the same you tube clip that he laughed at yesterday, and the day before, and the day before that too! He drags me to the cupboard for food and is neither brand aware nor cost aware. Life is simple. Life is fun. Life is about today. He dances to his own beat and I am proud of him. He brings me delight every day. He has so much to teach us. He may be severely autistic and non verbal but the world is a better place for having him in it. People tell me he needs to be more like us. I disagree. We need to be much more like him. Loving my son is easy, living with him is not. Some would say he is controlling, a bully, self centred and aggressive. These would all be correct. He is also frustrated, anxious, stressed and agitated. No anger course, or therapy or counselling will help him. He is 8 and can not speak. He is still in nappies. He has no sense of danger. He can scream for hours, smear, attack and demolish all in one day. Yet he can laugh a deep laugh that is so contagious he makes everyone smile. He can flap and find utter delight in lift doors opening for hours. He is the apple of my eye and the delight of my heart but some nights I put him to bed and cry. I cry for the life he is missing out on: The lack of friends, the inability to read and write, the fact I have no idea when or if he will ever be toilet trained. I cry because he is misunderstood and judged so much. I cry because he can not tell me anything like how he is feeling or what he likes. I cry because he is so vulnerable and that scares me. I cry through exhaustion having to constantly guess what he wants and why he is so upset. I cry through years of sleep deprivation, lack of support and the stress that something as simple as an open door makes him throw himself down the stairs in distress. I put him to bed and cry because I do not want him to see my tears. I never want him to feel he disappoints me. I never want him to feel rejected or unloved. But I need to let the tears out. Pretending this is ok is not helping anyone. 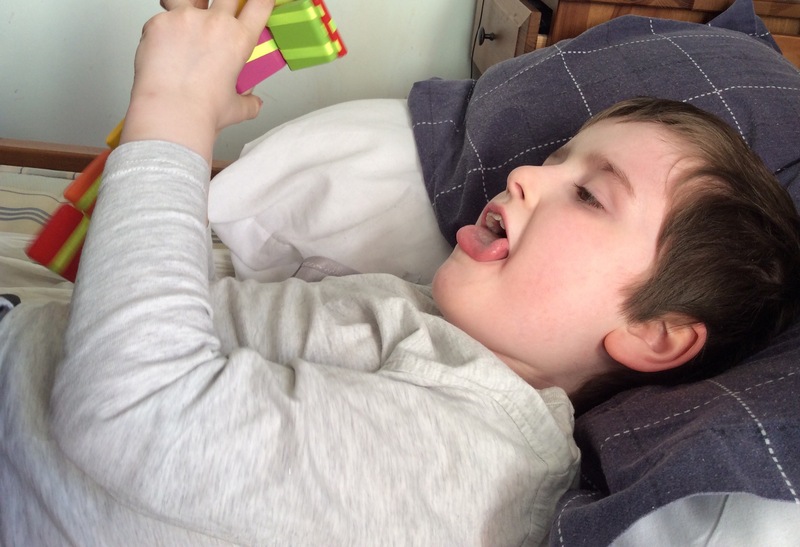 My son has severe autism and it is very hard. My son has neurofibromatosis type 1 and that scares me. My son is vision impaired and that worries me. His list of diagnosis and difficulties is comprehensive. He requires 24 hour care and relies on me for everything. He will need care all his life and his condition is progressive and unpredictable. He brings me great joy but caring for him exhausts me. Loving him is easy, living with him is not. I love him more than words can say but I put him to bed tonight and cried.